September 25th was World Pharmacists Day and saw the launch of Pharmacist Support’s annual Go Green campaign – a week of activities that saw pharmacy students, pre-reg trainees, pharmacists and retired pharmacists come together and celebrate all things green to raise money and raise awareness for the charity. 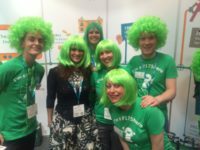 GoGreen4PS was announced at the RPS Conference and then launched at the Pharmacy Show in Birmingham. The NEC was awash with green wigs, green ties, green t-shirts and green tea, and those lucky enough could also bag themselves an exclusive Mr Dispenser pen, a beautiful hand crafted green bracelet courtesy of Joanna Jamroz and pimp up their phone with jewels courtesy of the BPSA all for a donation of course! The CPPE held a green themed quiz, a green coloured lunch, baked green cakes and swapped English breakfast for Green tea and raised £67.00 for the charity. The marvellous team at Well pharmacy Manchester held fundraisers at their local shops, raising £100. 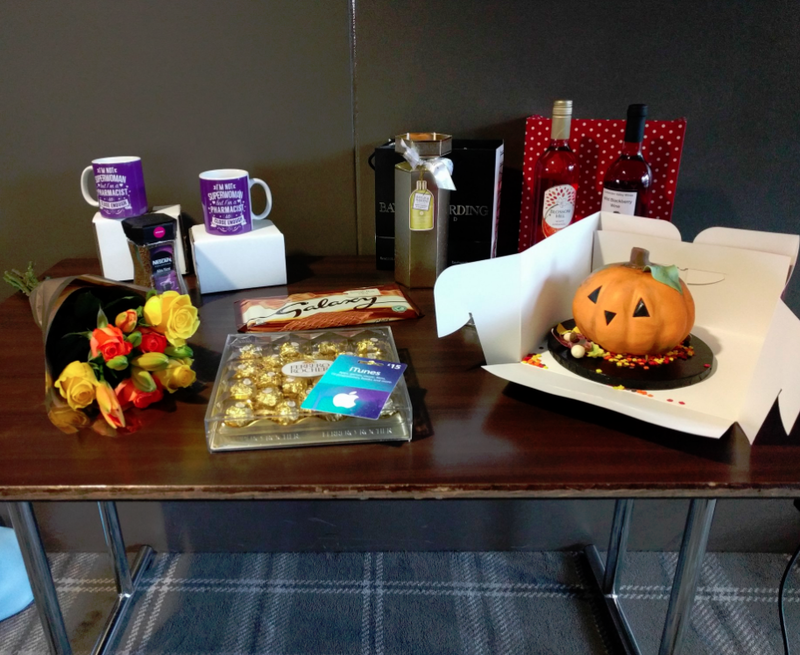 CPWY held another fun and successful raffle with a magnificent pumpkin cake as the star prize raising £120 for Go Green. The team at Boots went green for their Lets Connect staff training events. Universities across the country got in on the action too – the University of Portsmouth raising £132.63, Robert Gordon University a magnificent £231.82, Kings College London £50 raffling off a Green hamper and the University of Manchester supporting their colleague via Twitter (#MaryAmGoesGreen) – the more donations, the more photos of her across Dubai in her green t-shirt! 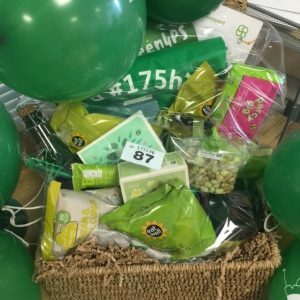 The RPS went green at their conference, held a raffle at their Awards Dinner, and a cake sale at RPS HQ raising a magnificent £1,178 as well as tweeting fabulous pictures of RPS movers and shakers in their stylish green wigs! Meanwhile the crew over at RPS Wales raised a whopping £500 from the raffle they held at their fundraising dinner. Birmingham and Solihull LPF asked people to wear green to their meeting and raised £50 and folks at the all London LPF pre-reg event did the same raising a fabulous £67.47. We still have money trickling in and will announce a final Go Green fundraising figure soon, but we are almost at £5,000! A huge thanks to everyone who got involved this year and we hope that you’ll join us once again, for an even bigger, greener event in 2017. Get planning now people! To view the fabulous photo montage from our first ever Go Green week click here.